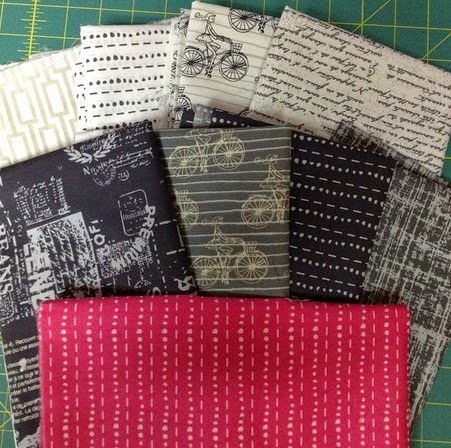 The first squishy package was from the lovely Frances Newcomb with cuts from her new Cherie line!!! Oh my goodness, I love this line!!! The script, the bikes, the dots, Eeekk!! I have a super chic quilt planned for these, and I am going to take pictures as I go . . . Yup, tutorial coming your way!! And the second package was from Riley Blake Designs for my next Project Design Team tutorial. This line is by Amanda Herring aka The Quilted Fish and is called The Cottage Garden. And oh my goodness, I love it!!!! I can't wait to start cutting it up!! I love the second material. So very pretty. Lucky you! I look forward to seeing the results of your work. The fabrics are gorgeous! Can't wait to see what you make! Have a fun day cutting! Have fun! Looks like you will be surrounded by wonderful fabric! Love your tutorials! I really like the Cherie fabric ! Can't wait to see what you have planned for this fabric ! It's posts like this that make me think how glamorous your life is. 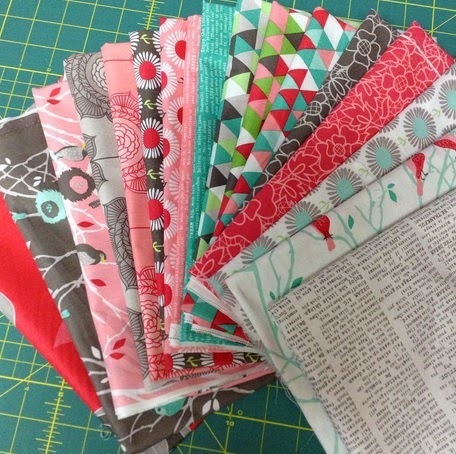 Wow, I love both sets of fabrics, especially the cottage gardens triangles!!! Gotta get me some of those! Love getting squishies in the mail - they are the best!!! ooooo - I want to touch them! I haven't bought much Riley Blake. Not sure why. I think this line The Cottage Garden is very nice and a line I will buy! Thank you so much for showing us the actual prints. It really helps. Enjoy your sewing. Pink, grey, and aqua--totally yummy indeed! Fat Eighth Frenzy with the Fat Quarter Shop!!! Winning, Quilting, & Shopping, Oh My!!! Christmas Keepsakes Blog Tour and Giveaway!! !